The former PR adviser to Steve Jobs looks back at her work on behalf of Apple's mercurial leader and forward on how to break the glass ceiling prevalent in Silicon Valley. LONDON: Veteran marketer Andrea "Andy" Cunningham isn't always complimentary about one of her earliest clients. "Steve [Jobs] hired and fired me several times. It was frustrating," she told Marketing. "He basically didn’t want to pay me the first time – and he owed me $30,000 at that point." Cunningham is about to be portrayed in the upcoming Steve Jobs biopic, adapted from the Walter Isaacson biography of the same name. Yet she disputes its probable accuracy, and even the decision to include her in the script. "That’s a funny thing to me. I don’t feel I should be one of the people there, but I know I was part of [Jobs’] life during a critical part of his development as a legend," she said. "I think the film will tell a good story, but will it be accurate? No." It's certainly been a long time since Cunningham worked with Jobs, as a 26-year-old newcomer to Regis McKenna, the agency that handled Apple's marketing. But she worked with Jobs during his most turbulent period at Apple, and she said that has helped her continued career in high-tech marketing. Thirty-one years later, she is interim CMO at one of the biggest business communications providers globally, Avaya. One reason Cunningham is being portrayed in Steve Jobs is for her role forging the launch strategy for the Apple Macintosh in 1984 with Regis McKenna colleague Jane Anderson. The company was one of Cunningham’s first accounts, and she was tasked not only with explaining the new Macintosh to influencers, but convincing them it was genuine competition to IBM. To put this in context, the PC market was still relatively young and dominated by IBM in the business market. The Apple Lisa, released during the early 1980s and aimed at enterprises, was deemed a flop. The Macintosh was the first mass-market PC with an interface users would recognize today – with icons, pointers, menus, and windows. Mounting a convincing marketing campaign for this "insanely great" computer, as Jobs described it, would be key in cementing Apple's reputation. So was there any foreshadowing of what the Macintosh would mean for Apple? "I have to say, all of us were quite surprised at the extent to which it did change the world," said Cunningham. "[But] Steve so strongly believed in the product, he built the whole computer, and so the task we had was to bring it to the world and to show the world." Cunningham’s strategy, authored with Jane Anderson, was to invite influencers to spend a day individually with the Mac team and Steve Jobs to get to know the computer. That was born of Jobs’ own method for choosing who would work on Mac products. "I was curious as to how Steve picked the Mac team," she said. "He told me, I sit them down with the Mac, I sit opposite, and I don’t say anything. I just watch their expression as they interact. When I see how quickly they understand it, and their eyes begin to sparkle, and they start smiling, I know they’re right for the team." Despite making headway with the Mac, Steve Jobs was forced out of Apple after tensions with then-CEO John Sculley came to a head. "I was so politically aligned with Steve, that it wasn’t a good decision to continue with Apple. It was a good time for me to start my own firm," Cunningham recalled. In the immediate aftermath, Jobs planned a press conference to tell his side of the story – but called Cunningham first. "I talked him out of that," she told Marketing. She would go on to found her own agency, retaining Jobs as a client during his subsequent computing venture, NeXT, and his takeover of Pixar. It wasn’t always plain sailing with Jobs. Cunningham has previously described her experiences ahead of a cover shoot in New York, when he complained that the piano was in the wrong place and demanded calla lilies for his hotel room. "He was being such a pill," Cunningham told Bloomberg in 2011. "Where do you get a calla lily in New York in December at 11 at night? I found a florist. I found the calla lilies. And the next thing was a bowl of strawberries on the piano. And a separate bowl of whipped cream. We spent three or four hours doing this." It didn’t get any easier after Apple, with Jobs at one point refusing to pay Cunningham’s fledgling agency the $30,000 he owed. "He said that I hadn’t done a good job, and that he was firing me. I was devastated, so I went home and called up my ex-boss, Regis McKenna," she told Marketing. McKenna advised Cunningham that she needed "something over him" to force Jobs to pay up. In Cunningham’s case, that was her relationship with the business press. After arranging a second meeting with Jobs, Cunningham pointed out that her comments about Apple had been extremely positive so far – with the implicit hint that it might not always stay that way. "And then he wrote me a check," she said. "You have to earn their respect, and sometimes that comes from challenging them, their point of view. I learned to challenge authority." Cunningham is that rare species - a senior, female CMO who has thrived during Silicon Valley's changing fortunes. Her own agency, Cunningham Communication, which advised Jobs after his departure from Apple, also boasted other high-tech clients such as IBM, Kodak, and Motorola. It was eventually acquired, and after a number of senior consultancy and agency roles, Cunningham began to focus on brand positioning. 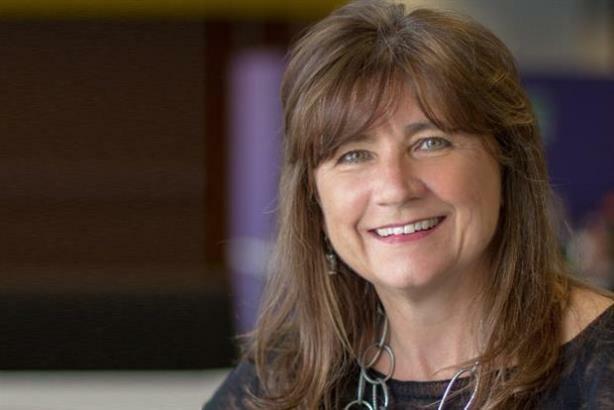 She has taken on her current role at Avaya to try to make the company "cool." Some women executives in the technology sector, such as Yahoo CEO Marissa Mayer and Facebook COO Sheryl Sandberg, have been criticized for downplaying the difficulties women face when it comes to breaking the glass ceiling. So where does she stand? "I have not seen it to be an issue for me. I have always had an attitude that gender is not an issue if I don’t make it an issue," she said. On the dearth of women in the tech industry at large, she said, "It’s a highly engineering-focused culture, run by engineering-oriented people. "That’s a male oriented ecosystem," Cunningham added. "That’s the problem, there are not enough women taking up those kinds of careers to get into the C-suite." Indeed, Cunningham subscribes to Sandberg’s "lean in" philosophy, advising women to learn the art of simply speaking up. "It is not a female trait. You have to speak your mind, give your point of view, and defend it. You can’t be hurt by people attacking your view," she said. "Men in a room together can be strong about their point of view, and you have to be equally strong."